Why does it take so long to get my tutu? 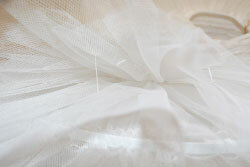 All of our Conservatory tutus and bodices are made to order due to the various options that you may choose. Once we receive your order it is then put in our production schedule along with all of the other orders from the same week. Normally it will take anywhere from 4-6 weeks to run thru our production. It's very important to allow enough time for both production and shipping. I take an adult small leotard why can't I just order a small, medium or large tutu? We have spent years thru Primadonna Tutus developing our unique size range. All of our tutus and bodices are traditionaly made of non-stretch fabrics, so we try to accomodate as many dancers sizes as possible. 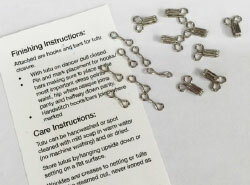 Measurements must be taken as shown on our Measuring Charts and Instructions page. How do I know how many layers I should choose and what length? Please refer to our Measuring Charts and Instructions page as we have detailed information on making those choices. If you need any help making these decisions just Contact Us. What do you mean by loose hooks and bars included? Do I need to know how to sew? All of our tutus and bodices come without closures. They must have the hooks and eyes (which are included) hand sewn on the back once it is pulled in to fit. If you can sew ribbons on a pair of pointe shoes then you can sew the hooks and bars on. A hoop is a long piece of sprung steel inserted into a casing in the middle of the tutu and taped together. The hoop forces the tutu to stand out. It is beneficial if you want a very rigid, flat tutu or if you will be putting a lot of heavy decorations on the top layer of the tutu. Because it is sprung steel it will push in with partnering and then bounce back out. Tacking is a step done after the tutu is finished. We use various lengths of thin plastic filament to join the tutu layers together so that they do not fly around when performing. 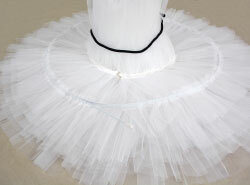 It keeps the netting layers together and is most often used with hooped tutus for a flat pancake look. I need to order a group of tutus? If you know all the dancers sizes then the order can be completed online. If you only have measurements or have any questions placing the order it might be easier to phone the order in. On our Measuring Charts and Instructions page we have a group size chart which can be printed out, filled in and then Contact Us to go over the sizes.